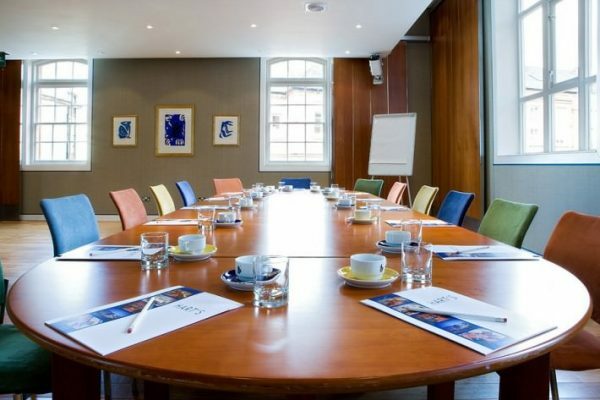 Looking for a meeting venue in Nottingham? Are you currently planning your company’s meeting or conference? Then it’s time to discover what awaits you at our award-winning Hart’s Hotel and Restaurant located in Nottingham city centre. 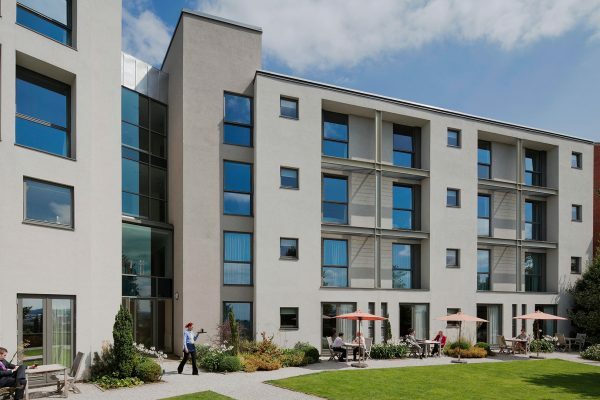 The luxury privately owned boutique hotel in Nottingham with 32 bedrooms has a modern classic feel and a private garden with stunning views and car park. 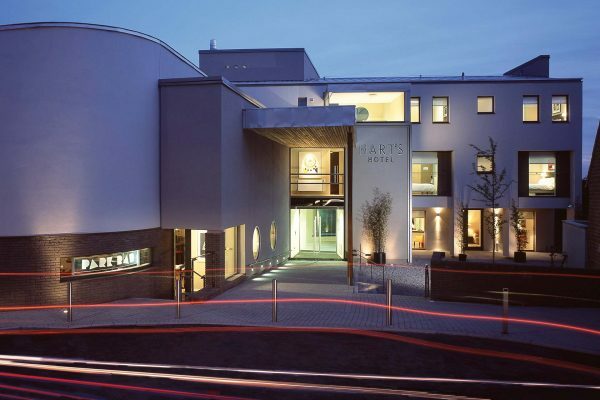 A short stroll from the bustling Nottingham city centre, Hart’s is the highest-rated hotel and restaurant in Nottinghamshire. We know that the location is everything when it comes to planning any event and we’re very privileged to be situated on part of the old ramparts of Nottingham’s medieval castle on the historic Standard Hill in the city centre of Nottingham, where King Charles I famously raised his standard at the beginning of the Civil War in 1642. Hart’s Restaurant opened in 1997 in part of the former Nottingham general hospital and the hotel was built later in 2003. The hotel is a striking modern building designed by architect Julian Marsh and the build won a RIBA design award. If you’re delegates are arriving by car we have limited car parking spaces for hotel guests. Alternatively, we offer discounted car parking at Mount Street NCP which is located just a 5-minute walk away. Nottingham train station is located just a 13-minute walk from us, so your delegates will enjoy a lovely walk past Nottingham Castle up to the hotel. If you have VIPs arriving at East Midlands Airport, we are situated only 14 miles away and we have contacts with business travel providers for comfortable transfers as required. 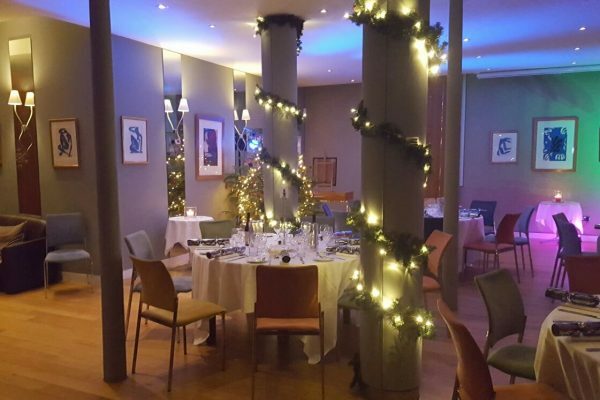 Our largest meeting room is Hart’s Upstairs which is located on the first floor above Hart’s Restaurant; it is a bright and contemporary room which can be arranged in a variety of layouts. The space is open and bright and our maximum capacity is 100, whilst we retain the flexibility to provide a more intimate space for smaller numbers. 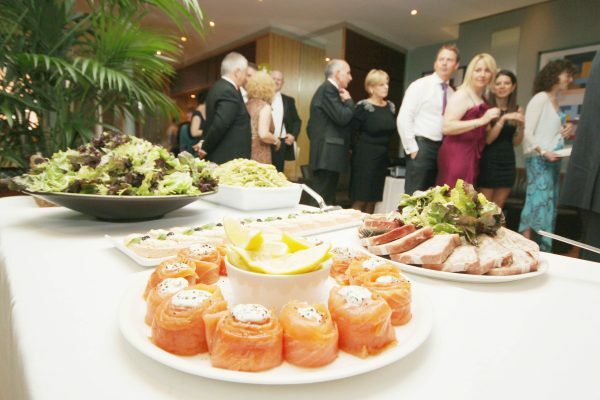 The venue is well equipped to serve your corporate event with quality facilities and friendly staff. Our meeting space comes fully equipped with integrated AV equipment, WiFi access throughout and feature natural daylight with black-out blinds. When you need assistance with photocopies or prints our team are on hand to assist you, quickly and efficiently. Your meeting space will be fully set-up and equipped according to your requirements on the day, with chairs and tables laid out to your specification and the finest refreshments served to your attendees. 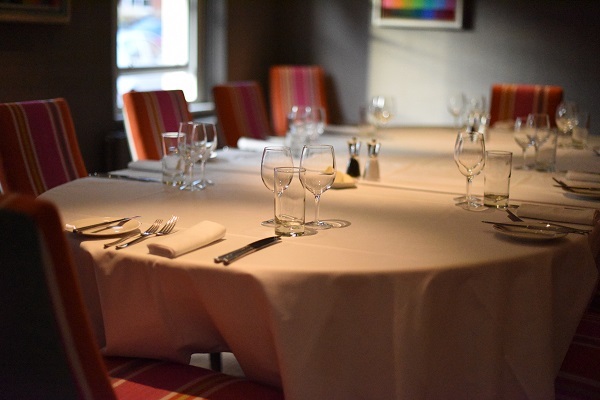 We can also cater for private board meetings or intimate dinners for up to 16 people in the Private Dining Room which is located on the ground floor. In the summer months we could also host a BBQ out on the Park Bar Courtyard or the private garden. Whatever your vision you can be assured that every meeting is tailored to meet your individual requirements with faultless delivery and attention to detail. Hart’s award-winning restaurant has a team of passionate chefs who also deliver stunning food for our corporate business. We take real pride in the delivery of our food and we know that our customers value that care and attention using fresh seasonal ingredients. 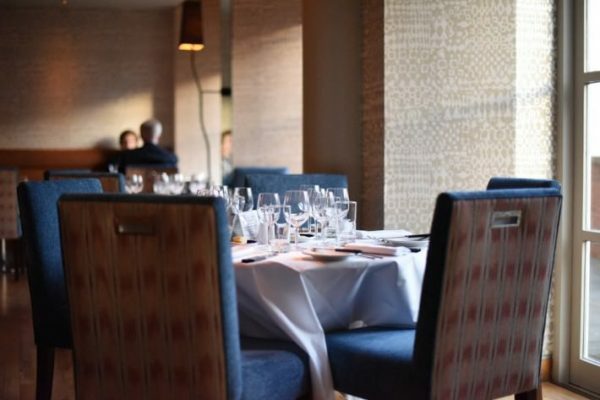 You’ll find that we offer flexible menus to suit all needs and budgets so we can discuss any specific requirements with head chef Dan Burridge. 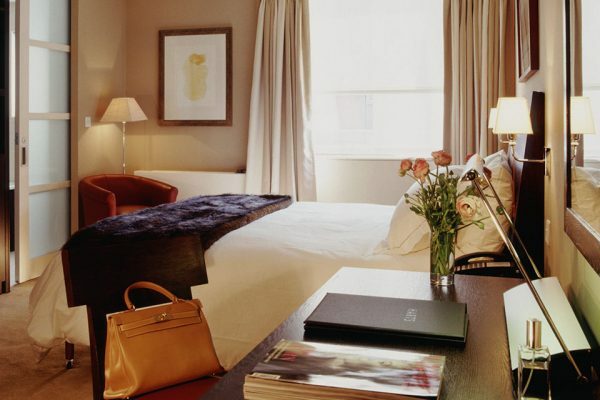 As a four-star boutique hotel in Nottingham with 32 bedrooms we can offer business delegates superb overnight accommodation at very reasonable rates. Located in a quiet part of the city overlooking Nottinghamshire you can be guaranteed a quiet night sleep at Hart’s avoiding the hustle and bustle of Nottingham city centre. 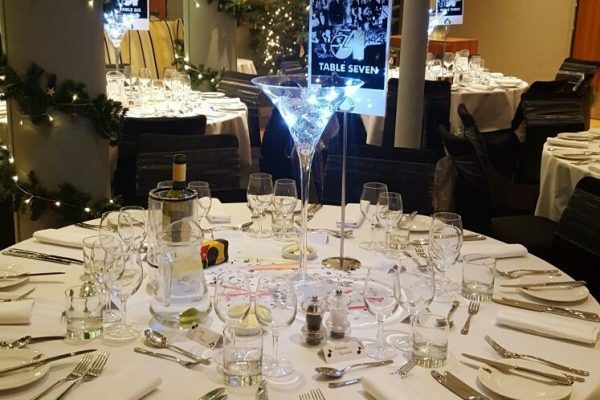 When you book an event at Hart’s you will have a dedicated experienced event’s organiser to help you prepare, and ensure everything runs smoothly during your event. We also boast a professional events team to ensure your colleagues and clients get the very most from your time with us – whether it’s team-building, networking, an away day, a product launch, training, a drinks reception, seminar or meeting. We are extremely flexible and know that every event is unique and guests’ requirements vary depending on your business needs. Are you ready to find out more about our meeting facilities? Please contact our events team today who will be delighted to show you around. Sally Thornhill, Events Manager 0115 988 1900 or email [email protected]. Hart’s Hotel and Restaurant, a truly stunning choice for your next corporate event.